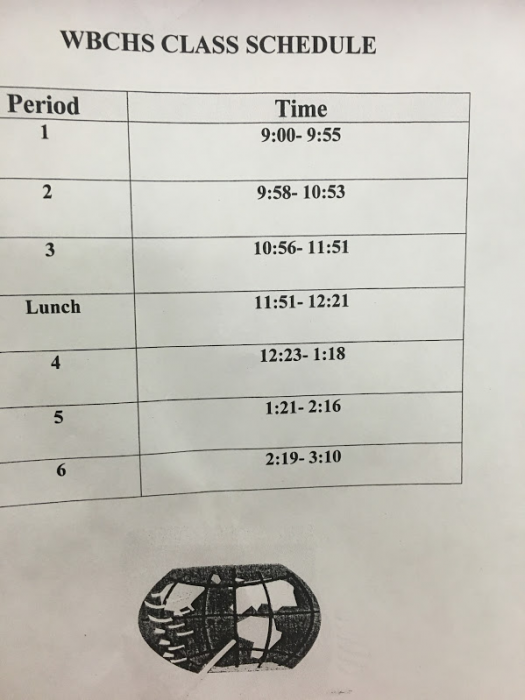 Why Are There Only 6 Periods A Day At West Brooklyn? Have you ever thought if West Brooklyn is a transfer credit recovery school then why are there only 6 periods a day? Like maybe some of us would like to leave already? Well I interviewed 3 people – The Principal(Gloria Rosario Wallace), Assistant Principal (Malik Lewis), and The Director (Jamie Mendoza Williams) who may or may not have the answer to some of my questions.Now this reporter must go hunting! Jesus Moreno: Did we ever have more classes at West Brooklyn? JM: Ok next question did students ever start classes at 8 A.M instead of 9 A.M? JM: In the future will we ever have more periods? JMW : “No I don’t think so”. Soooo….Jamie didn’t really know much cause it was his first year here at West Brooklyn.Oh well, right?On to the next one! Jesus Moreno:Hey,is it okay if I can come in? Malik Lewis: “Yeah,sure come in”. JM: Okay here goes …. If we had more classes would we get more or less time in class? ML: “I’d say Less time in class”. JM: Okay thank you for your time that’s all questions I have for you. So all my questions were answered.But I still wanted to interview Gloria. Since she’s the principal she must know a lot and could give me more information about why there are only 6 periods. Gloria Rosario Wallace:”Oh Heyyyy I been waiting for you i thought you’d never show”? Jesus Moreno: Yeah sorry I have this thing where I’m usually late sorry…So I wanted to ask you some questions if you wouldn’t mind. GRW: “I don’t mind go ahead”. JM: Okay here it goes…How long do teachers work?If it’s okay for you too answer”. GRW: “No I don’t mind. Well teachers that work here have a contract. A contract in which they work 6 hours and 20 mins which is a standard contact. JM: Why are there only 6 periods? Gloria: Because students have certain amount of time to earn credits.But after school Teachers have 37 minutes to tutor students.During this time teachers get a bonus check for working over time.